I hope this white Christmas Eve means a white Christmas day. Maybe a little Barrel-Aged LTD will help deliver the goods. Couldn’t wait for this one…Two days before Christmas and, what do we have? A visit from Brother Ben. Mondays are the best day of the week, especially considering what was originally planned for this Monday. After Rage comes Mr. Hyde. I don’t know why, but I do know the people who attended the brew school at Tapistry about a month ago missed out on the tasting today. Your loss! Don’t get upset if you don’t have your Christmas shopping done, get Rage instead. 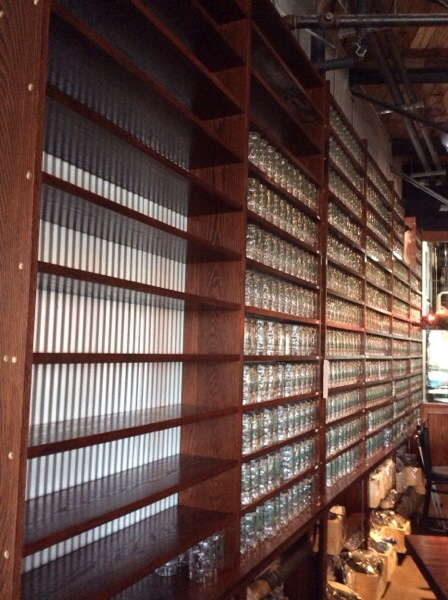 Greenbush has, one again, expanded the shelving for their mugs. Just a few days left to stock up for Christmas, and, while you’re at it, you might as well stop in have a couple of beers. 2o days in leaves some Retribution. Feeling great! How ’bout you?